Mangroves. Photo by Milushka Volkerts. 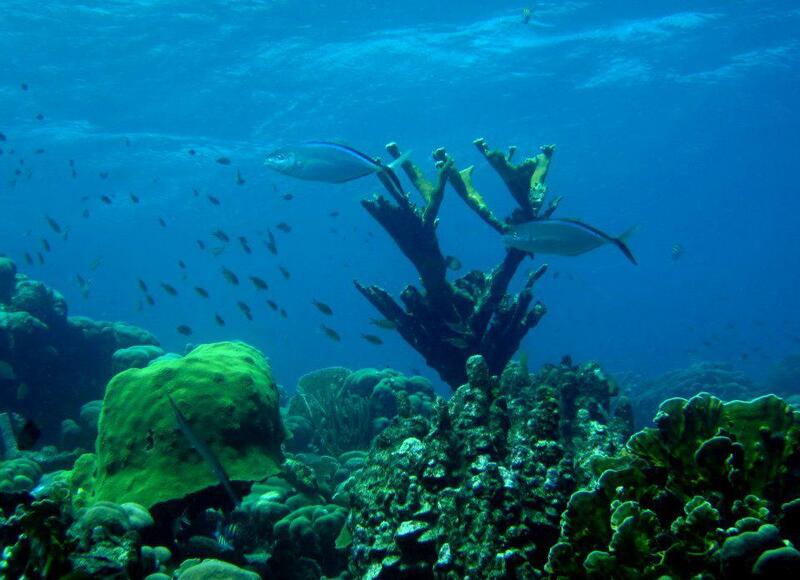 These inland bays are home to mangroves and seagrass beds, nurseries for many Curaçao reef fish as well as nesting habitats for a wide variety of local birds. Based on Carmabi’s research, mangroves currently cover 55 hectares, representing about 0.12% of the island’s surface. But that number used to be a lot higher 400+ years ago, before humans started cutting down mangroves — the buffer between land and sea — for development purposes. 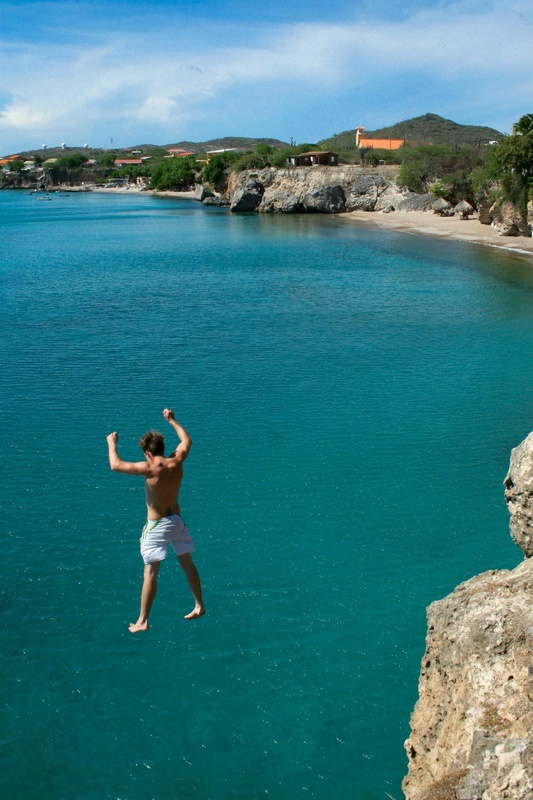 Norbert Dijk jumping off cliff at Playa Forti (Westpunt). Awesome photo by his brother, Vincent. 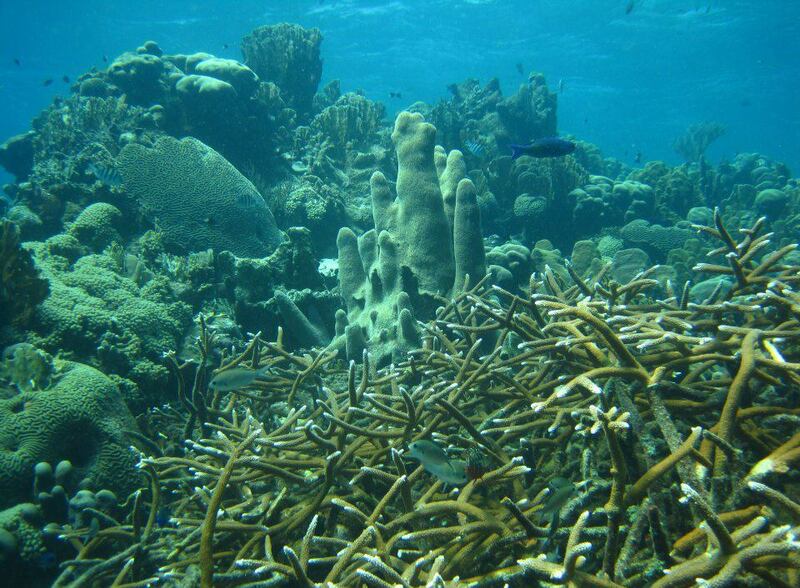 Eight years ago Ryan decided to start re-planting mangroves to help fish lay more eggs. 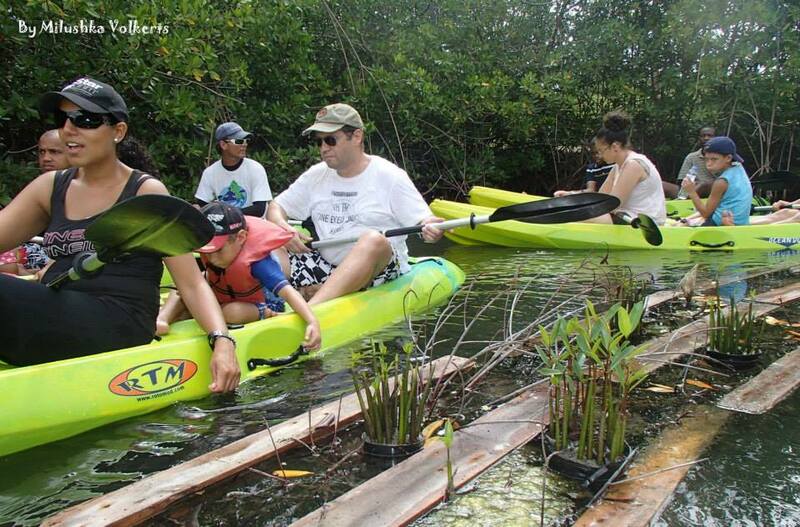 “80% of our mangroves have been cut down over the past 20 years, [my mangrove project] has replanted 40-45%. It’s just plain horse work, nobody sees it, but in the meantime we’ve planted over 100,000 mangroves!” As a matter of fact, Ryan is the first to plant mangroves in the world. 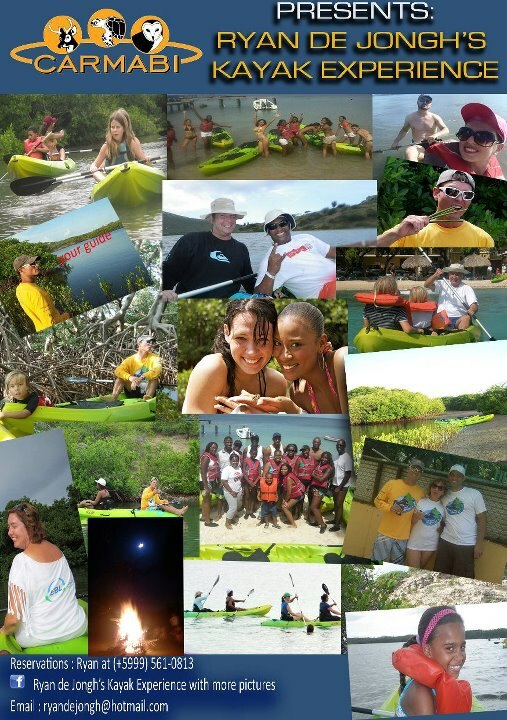 Ryan hosts kayak tours of Curaçao’s mangrove ‘jungles’, to schedule a Mangrove Kayak Adventure and help re-plant some mangroves, please visit: http://www.carmabi.org/news/activities/34-mangrove-kayak-tours or call 5999-561-0813.